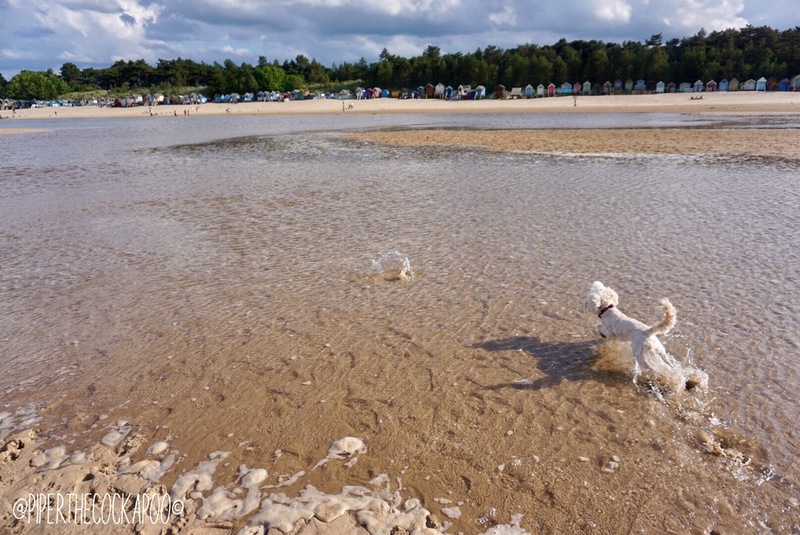 Without a doubt Wells-next-the-Sea is our favourite Dog Friendly beach in the U.K. We try to visit at least once a year. The white sandy beach stretches for as far as the eye can see! To get to the beach, you have to drive down “Beach Road”. Take the small road to the left of the harbour (as you’re stood facing it) and drive all the way down to the bottom. Take the 1st exit at the roundabout and you’re in the car park. Car parking charges can be found here. 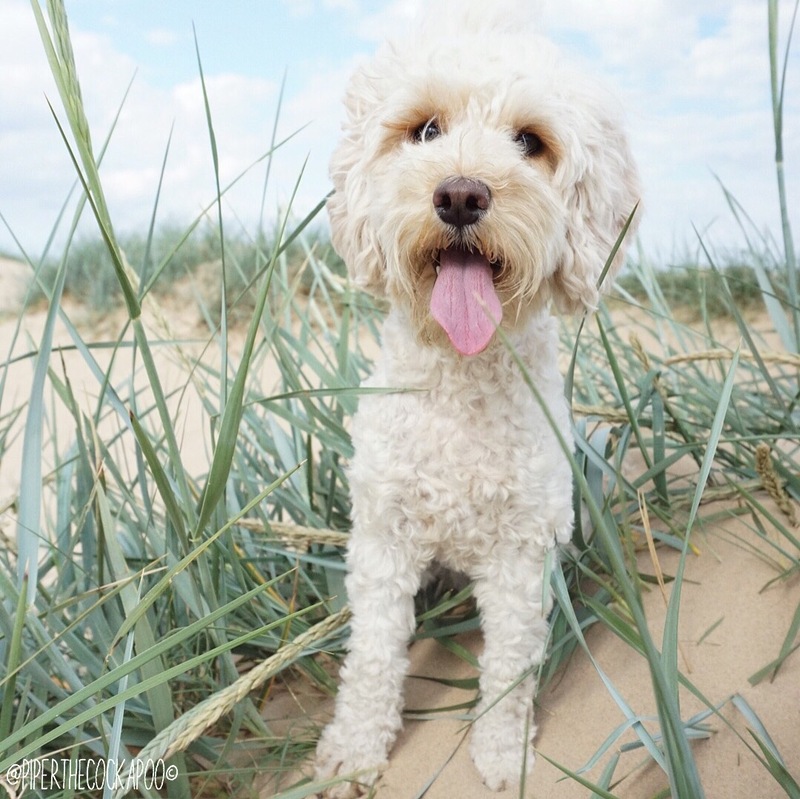 To get to the Dog Friendly section of the beach, walk towards the wooded area at the far side of the car park, then follow the path through the woods (heading the the bottom of the car park) until you come across some stairs going up on your right. Climb up these stairs to be greeted with doggy beach heaven. There are very often some pools of water on the beach which are great for paddling in (especially on the days when the sea is so far out it would take you an hour to walk to it!). 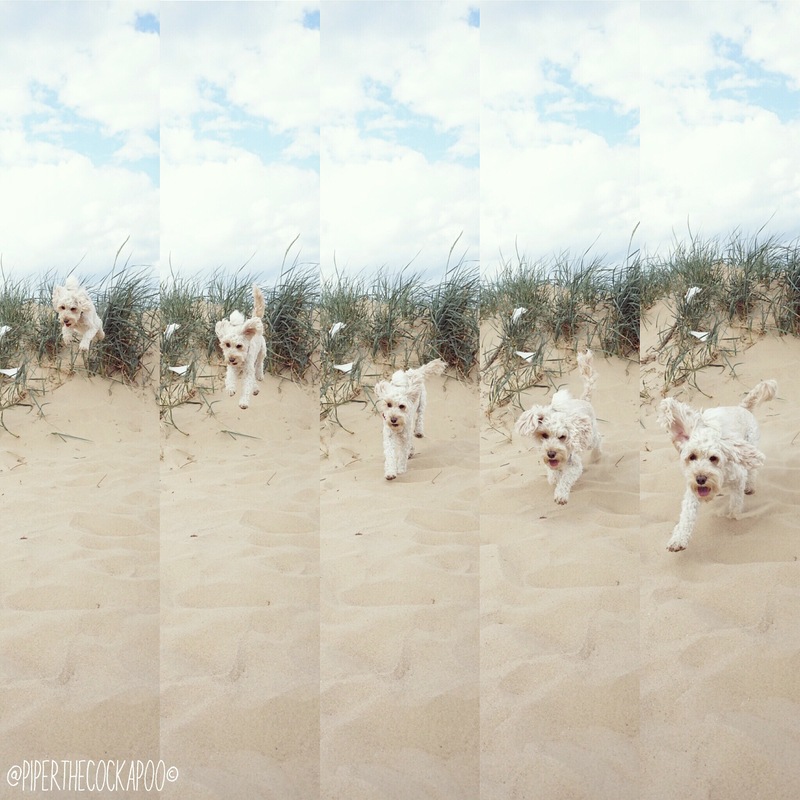 There are many sand dunes on the beach, a personal favourite of Piper’s. They provided her with endless fun- running up & jumping off them. They’re also a great place to just sit back, relax and take in the beautiful views, plus the act as a natural wind break on windy days! 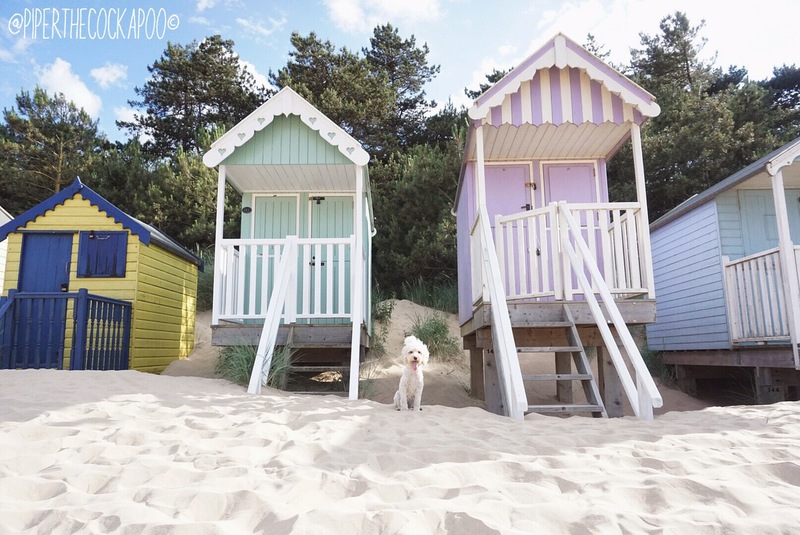 Personally, I think the huts are what make the beach so picturesque. 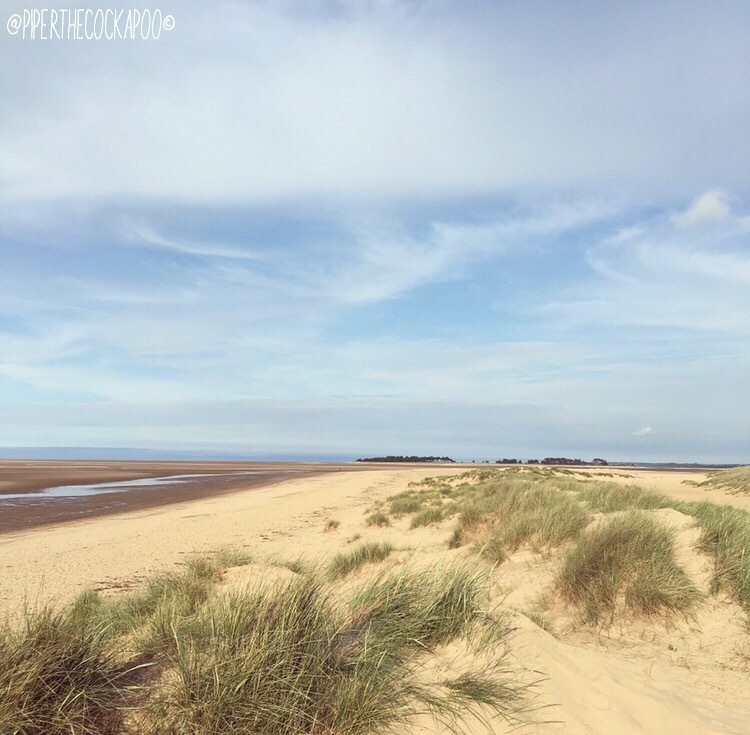 The pastel colours are complimented beautifully by the warm sand & blue skies on a sunny day. They are a real attraction and you can even rent you’re own! After exhausting yourself on the beach, adjacent to the car park is the Beach Cafe. You’ll have seen this when you drove into the car park. It’s a super dog friendly cafe! As well as selling scrummy human food, they also sell a variety of dog treats, dog towels and other doggy accessories. Piper’s favourite treat here was the special doggy ice cream! They will even let your 4 legged friend borrow a Joules bed to lay on whilst you sit and eat your food. The Cafe also has a dog water station (were you can help yourself to fresh drinking water) as well as a Dog Wash. The Dog Wash is essentially a DIY car wash but for a dog. It’s a big bath tub with everything you need- water, shampoo, a dryer! Perfect for sprucing up a sandy, soggy dog. 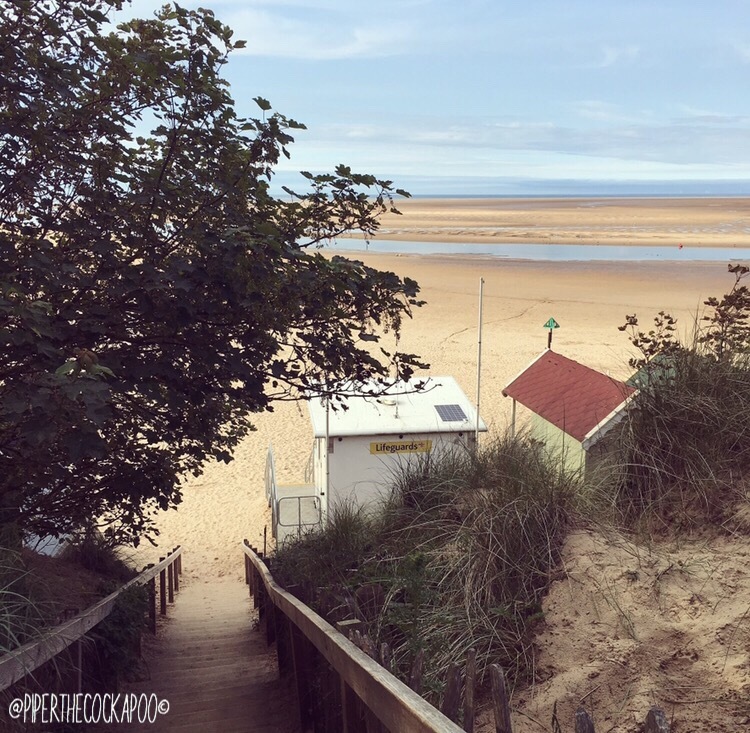 We’ve enjoyed sharing all about our favourite beach with you & hope that you get chance to visit soon if you haven’t already!